Dr. Evangelina Colón is a Graduate of Puerto Rico Music Conservatory and Sacred Heart U. MM and DM (Florida State University). 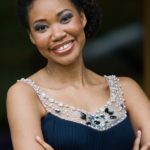 She was a winner at the Internatinoal Singing Competition in Chile and at the National Opera Institute of the Kennedy Center in Washington, D.C./George London Foundation. Her vocal teachers include Eleanor Steber, Ellen Faull, Rita Patané, and Elena Nikolaidi. 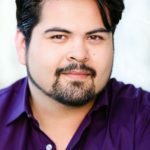 Dr. Colón has been on the faculty of the U of Puerto Rico, the InterAmerican University in San Germán, Puerto Rico and at the internationally acclaimed Coro de Niños de San Juan, and has directed the Opera Workshops of the Palm Beach Opera and the Opera of the Americas in Santo Domingo (Dominican Republic). Since the Summer of 2011, Dr. Colón is a faculty member at the American Institute for Musical Studies (AIMS) in Graz, Austria. 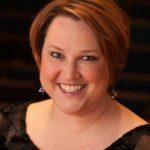 She has sung with major opera companies in Europe, the USA and Latin America including Prague State Opera, Polish National Opera, Russian National Opera, New York City Opera Theater, Chicago Opera Theater, National Grand Opera, New Jersey State Opera, National Opera of Venezuela, Opera de las Americas and Opera de Puerto Rico, among others. Her repertoire includes leading soprano roles in Il Trovatore, Otello, Don Carlo, Tosca, Madame Butterfly, Il Tabarro, Gianni Schicchi, La Boheme, I Pagliacci, Faust, Carmen, Don Giovanni, Salomé, Die Fledermaus and The Merry Widow among others. She also has performed Spanish zarzuelas such as Luisa Fernanda, Los Gavilanes, Los Claveles, La Dolorosa, La del Soto del Parral, La Montería, El Rey que Rabió, La Calesera and others. Ms. Colón had the distinction of singing the world premiere of three operas by composer Manuel González at New York’s Lincoln Center, the last of which, Una Jíbara, was written for her. She also sang the lead soprano role of Elvira, in the 1871-composed opera Macías by Felipe Gutierrez Espinosa, the first opera by a Puerto Rican. Ms. Colón has also performed in oratorios, orchestral vocal works and chamber music. She has appeared in Carnegie Hall and Lincoln Center, the Kennedy Center and the Hall of the Americas (Washington, D.C.), and throughout the USA, South and Central America and in her native Puerto Rico. She was a soloist for the opening season of the Performing Arts Center in San Juan with the Puerto Rico Symphony Orchestra and the Casals Festival. In Europe she has appeared at international festivals and with major orchestras in Russia, Austria, Poland, the Czech Republic and Slovakia; at the Chaliapin Int’l Opera Festival in Kazan as Desdemona; at the Styrian Autumn Festival in Graz with the ORF Symphony Orchestra in the Austrian premiere of Hans Zender’s Stephen Climax, with the composer conducting; at the Moniuszko Int’l Festival and the Kalisz Chamber Music Festival in Poland; the Hall of Culture in Ostrava, Czech Republic in the Verdi Requiem with the Janácek Philharmonic; at Schloss Eggenberg in Graz, the Grosse Aula in Salzburg and the Palais Palffy in Vienna. She has performed numerous recitals of art songs (in eight languages) and has been described as “one of the truly outstanding interpreters of the art song of Spain and Latin America”. Her recordings include Héctor Campos Parsi’s cantata Sonetos Sagrados for New World Records; Verdi and the Spanish Empire; and Hermosos Recuerdos, a collection of danzas from her native Puerto Rico. From 2001 to 2009 she was Executive Director of the Musical Arts Corporation of the Government of Puerto Rico, which administered the Casals Festival, the PR Symphony Orchestra, Ibero American Festival, Pablo Casals Museum, among other programs. Dr. Colón is a retired member of the voice faculty of Sam Houston State University School of Music. She continues her musical activities at her Houston private voice studio.